The mention of Victory Gardens brings back many memories from years gone by of tremendous national unity, patriotism, and hardship. The younger generation may not have even heard the name. 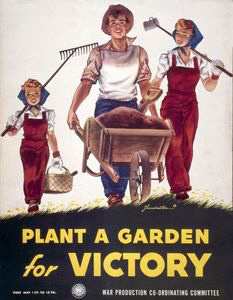 Victory Gardens were a symbol and practical expression of America resolutely united in its effort to defeat Nazism and Fascism. While men served in overseas combat those that remained planted a garden so sufficient food was available for the men in combat. People sacrificed with “Meatless Mondays” and “Wheatless Wednesdays” so the soldiers would have adequate food on the battlefields. More than just a garden, Victory Gardens were a rallying point—a practical way to help firm American unity and resolve to win the war. Today we need a different sort of Victory Garden. The enemy we face today is the enemy that attacks our personal health: malnourishment, which leads to disease. The great land of America is starving for nutrition in the midst of plenty. Today we must establish victory over our degenerating health that results from an industrialized food supply that has lost its’ soul. 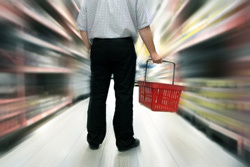 The average food buyer has long since lost connection with the producer of that food. The industrialized food producer/supplier is much more concerned with corporate profits and, truth be told, could care less about the health of the consumer. Because the food supply in America has such poor nutrition levels, our health as a nation has likewise deteriorated. In addition to poor nutrient density, many of our foods have been subjected to genetic modification, irradiation, extreme processing, and contamination by “designer molecules” used to color, flavor, condition, preserve, and texturize food. When we add up all these insults to our already poor quality food it’s no wonder we are facing such endemic rates of heart attacks, cancer, and medically-induced deaths relating to the overuse of so many drugs. All of this brings us to a strategic threshold, do we let our health continue its decline and look forward to drugs and surgery? Or do we look to correct our nutritional imbalance with nutrition? I trust that most reading this would agree that nutrition can never be successfully replaced by drugs and surgery. Where Can We Find Health-giving Nutrition? There are really only 2 choices--either we have to buy nutrition or we have to grow it ourselves. If we opt to buy nutrition we will have to seriously consider nutriceuticals. The reality is that there is not enough A and B grade foods on the market to maintain excellent health without some form of supplementation and nutriceuticals. I am sure you are well aware that many of these do not come cheap. Important first steps in taking control of our health it to find locally produced foods such as grass-fed meats, eggs, and dairy products. Some foods can be improved nutritionally by fermenting. To this foundation supplements and nutraceuticals such as Cod Liver Oil and enzyme formulations can be added. 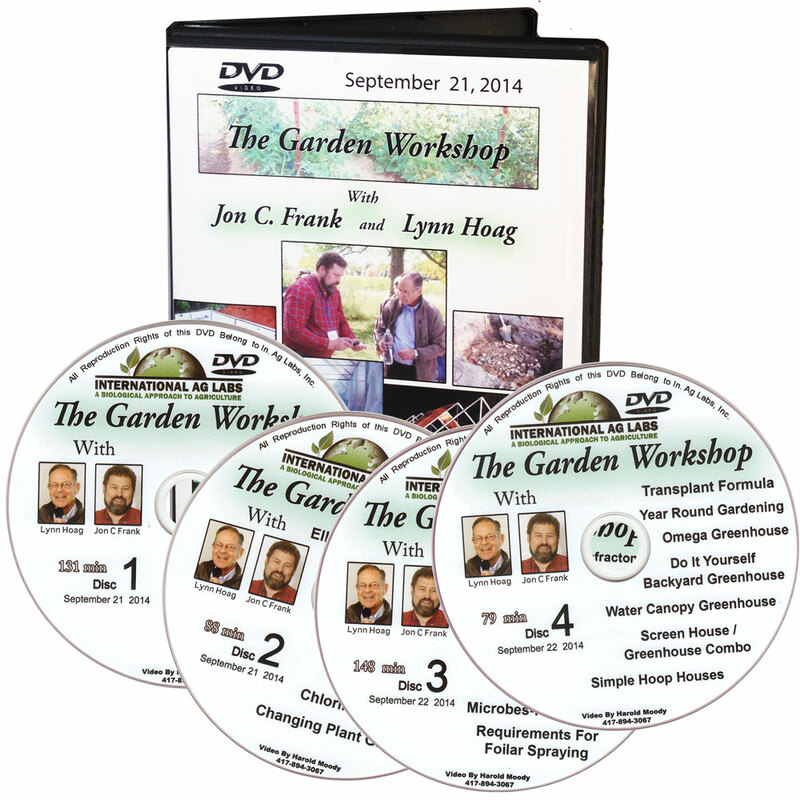 The second option is really the most important—grow a High Brix Garden. This is by far the cheapest nutrition we can find. The modern day “Victory Garden” is a High Brix Garden. A High Brix Garden is not just a run-of-the-mill garden; rather it produces high-quality food in the A and B grade on a consistent basis. 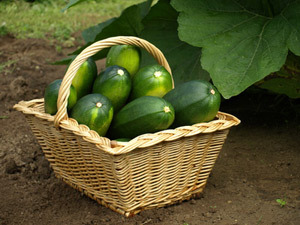 As a result more and more of our nutrition comes right out of our own backyard. Since we have to eat anyway we might as well get as much of our nutrition as possible from own garden. The great thing about this approach to “growing your own nutrition” is that as the quality improves so does the taste. The tremendous taste of high brix foods alone would nearly compensate for all the effort it takes to grow a High Brix Garden not even counting the incredible boost in health and the long-term savings in medical and nutraceutical expenses. 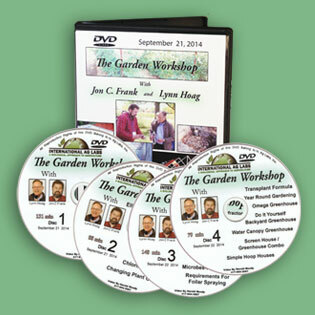 How Does One Actually Grow a Modern Day Victory Garden? While High Brix Gardens certainly don’t happen by accident, it can be quite simple: just carefully follow The Path To High Brix.